Optical drives are becoming less relevant when it comes to their use but many people may still want to have the ability to load software from physical media, play a high definition Blu-ray movie on their computer, listen to a CD or be able to burn photos and videos to a DVD. Most manufacturers tend to only list the type of drive that they include with a system. What they tend to leave out when listing the drives is their various speeds associated with them. When looking at a computer system there are two things to consider: the type of drive and the speeds. Even Windows 10 software is now being distributed by USB flash drives rather than traditional hard drives because of the fewer systems that feature the optical drives. There are three basic forms of optical storage used in computers today: compact disc (CD), digital versatile disc (DVD) and Blu-ray (BD). Compact disc storage was derived from the same media that we use for audio compact discs. The storage space averages around 650 to 700 MB of data per disc. They can contain audio, data or both on the same disc. Most software for computers was distributed on CD formats. DVD was the designed for a compact digital video format that also spun off into the data storage arena. DVD is seen primarily on video and has since become standard to be used for physical software distribution. DVD drives are still backward compatible with CD formats, however. Blu-ray and HD-DVD were both in the high definition format war but Blu-ray eventually won out. Each of these is capable of storing high definition video signals or data capacities ranging from as low as 25GB to over 200GB depending upon the number of layers on the discs. 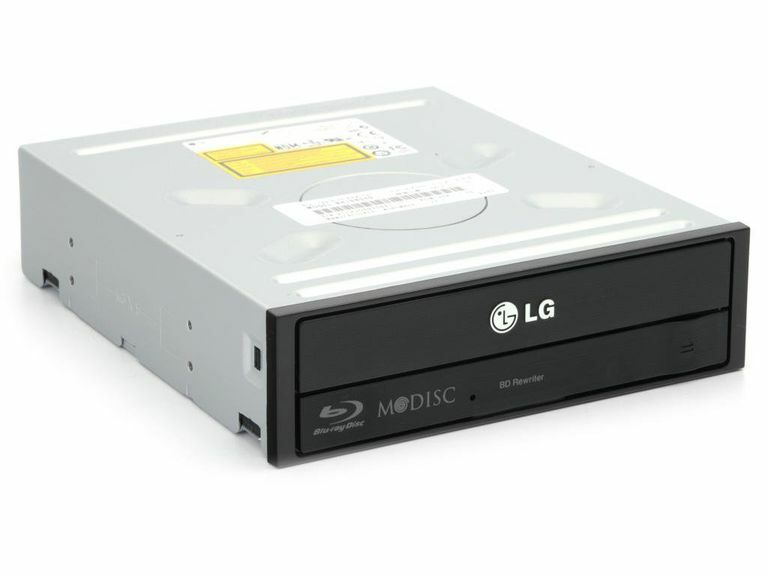 There are no HD-DVD compatibles drives made anymore but Blu-ray drives will be compatible with both DVD and CD. Now optical drives can come as read-only (ROM) or as writers (designated with either an R, RW, RE or RAM). Read-only drives will allow you to only read data from discs that already have data on them, they can not be used for removable storage. Writers or burners can be used to save data, create music CDs or video discs that can be played on DVD or Blu-ray players. CD recorders are very standardized and should be compatible with almost all equipment out there. Some CD burners may be listed as a combo or CD-RW/DVD drive. These can support reading and write to CD media and can read DVD media but not write to it. DVD recorders are a bit more confusing as there are much more types of media that can be used with them. All drives at this point can support both the plus and minus versions of the standard along with rewritable. Another format is the dual-layered or double-layered, typically listed as DL, that supports almost twice the capacity (8.5GB instead of 4.7GB). Blu-ray drives typically come in three types of drives. Readers can read any of the formats (CD, DVD, and Blu-ray). Combo drives can read Blu-ray discs but can read and write CDs and DVDs as well. Burners can handle reading and writing to all three formats. A Blu-ray XL format has been released for writing to discs up to 128GB in capacity. Unfortunately, this format media is not backward compatible with many early generation Blu-ray drives and players. As such, it has not really caught on. Likely another version will be released to support 4K video standards in the future. All optical drives are rated by a multiplier that refers to the maximum speed the drive operates when compared to the original CD, DVD or Blu-ray standards. It is not the sustained transfer rate while reading the whole disc. To make matters even worse, some drives have multiple speed listings. Many manufacturers do not even bother to list the speeds anymore. Read only or ROM drives can list up to two speeds. For a CD-ROM drive, there is typically a single speed listed which is the maximum data read speed. Sometimes a second CD ripping speed will also be listed. This refers to the speed at which data can be read from an audio CD for conversion to a computer digital format such as MP3. DVD-ROM drives will typically list two or three speeds. The primary speed is the maximum DVD data read speed, while the secondary speed is to the maximum CD data read speed. Once again, they may list an additional number that refers to the CD ripping speed from audio CDs. Optical burners get very complicated. They can list over ten different multipliers for the various media types. Because of this, manufacturers tend to just list a single number for the drives and this will be for the media that it can record the fastest. Because of this, try to read the detailed specs and see what speeds the drive is capable of in the media type you are going to use the most often. A 24x drive may run up to 24x when recording on DVD+R media, but it might only run at 8x when using the DVD+R dual-layer media. Blu-ray burners will list their fastest recording speed for BD-R media. It is important to note that the drive may actually have a faster multiplier for handling DVD media than the BD-R. If you are looking to burn media for both formats, it is important to look at getting a drive that has fast ratings for both media types. Since the release of Windows 8, a new problem has cropped up for optical drives. In the past, Microsoft included the software so that DVD movies could be played back. In order to make their operating system more cost-effective, they have removed DVD playback for Windows. As a result, any desktop system being purchased with the intent of watching DVD or Blu-ray movies will require a separate software playback such as PowerDVD or WinDVD included with the system. If it is not, then expect to have to pay as much as $100 for the software to enable the feature in the latest Microsoft operating system. With costs these days for optical drives, there is really no reason that even the least expensive desktop computers should not include a DVD burner if not a Blu-ray combo drive if it has the space for it. Some small form factor systems are designed to be so small there is just no room for them. Since a DVD burner can handle all the tasks of the various CD and DVD media, it should not be an issue for most people if they only use it for burning CDs or creating DVDs. At the least, the systems should have the ability to read DVDs as this is now used for physically distributing software and can make it difficult to install programs without the ability to read the format. Even if the system does not come with an optical drive, it is very affordable to add in a SATA DVD burner.